NextEra Energy Inc (NYSE: NEE) through its subsidiaries generates, transmits, and distributes electric power to retail and wholesale customers in North America. It had annual revenue of $16.7 billion in 2018 and operated approximately 24,500 megawatts of net generating capacity. It has a market cap of $90 billion. The company owns two electric companies in Florida namely Florida Power & Light Company, which serves more than five million accounts in Florida and Gulf Power Company, which serves more than 460,000 accounts in more than eight counties Northwest of Florida. It also owns NextEra Energy Resources LLC. The company released its fourth quarter 2018 and full-year results on January 25, 2019. Revenue grew 9.5% to $4.39 billion and missed analyst estimates by $580 million. Earnings per share came at $1.49 and missed analyst estimates by 4 cents. Full-year adjusted earnings per share came at $7.70 which grew at a compounded annual growth rate of 8.6% from 2015-2018. The management expects adjusted earnings per share to grow at a compounded annual growth rate of 6%-8% from 2018-2021. It also completed the acquisition of The Southern Company which includes Gulf Power Company and Florida City Gas. Nextera paid $5.1 billion and assumed $1.4 billion of Gulf Power debt. The Florida acquisitions are expected to add earnings per share of $0.15 in 2020 and $0.20 in 2021. The company has a strong presence in the Florida region and has been growing with the right acquisitions. The customer bills are 30% below the national average and the lowest in Florida. It closed the purchase of City of Vero Beach municipal electric system which will add 35,000 additional customers and would also offer savings to the existing customers in the long-term. Barclays analyst has upgraded NextEra Energy to overweight. We continue to value NEE at a 15% premium to the group average P/E. With the roll forward to 2021, the valuation upside combined with what we believe to be a low level of risk associated with the PCG PPA exposure provides an attractive entry point relative to the overall group. Above average earnings growth, additional accretion from the Gulf Power acquisition combined with the significant potential associated with the backlog of projects at NEE and the structural trends towards renewable generation anchor our updated rating. The company’s battery storage segment is also expected to grow in the coming years. Recently, Entergy Arkansas has entered into a partnership with NextEra Energy Resources to construct a 100MW solar energy facility featuring a battery storage system in White County, US. Operations are expected to start by 2021. Conclusion: With the market uncertainty increasing it is the right time to look into utilities. 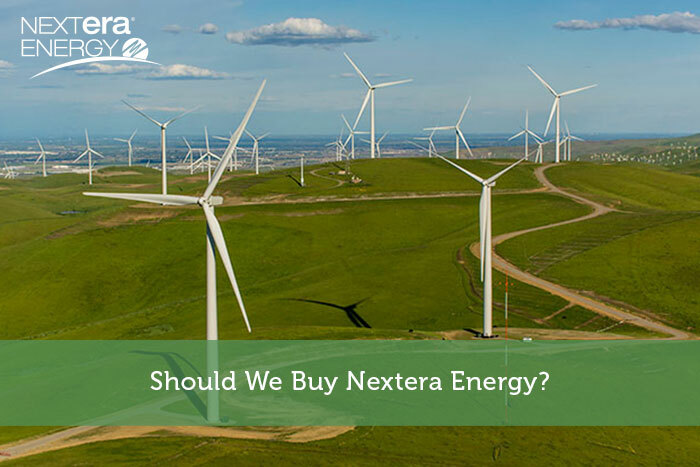 NextEra Energy is one such stock which has outperformed the S&P 500 index with a reasonable margin in the last ten years. S&P has revised assessment of NextEra Energy business risk profile from strong to excellent which is Positive. The Company has been able to constantly increase revenues and cash flows. Another advantage of this company it has a balanced portfolio.